The énergie Group, a fitness gym franchise, has completed its rebranding of all nine ex-Jackie Skelly gyms in Leinster, Ireland. The énergie Group acquired the Jackie Skelly estate in May 2010, which included saving over 200 jobs. 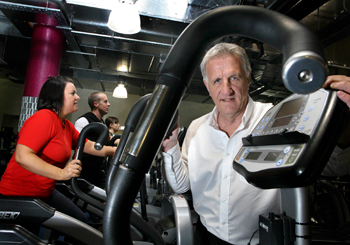 Following an investment of over €1.8 million, the UK company has effectively changed the look and feel of each club including two based in the centre of Dublin; Ballsbridge and Clarendon Street, and seven within the surrounding areas of Ashbourne; Drogheda; Navan; Newbridge; Park West; Rathfarnham and Swords. The transformation of the énergie brand is consistent with the UK fitness clubs. While the physical structures of each club remains the same, changes have been implemented to introduce a bright and energising new colour scheme, new furnishings and flooring as well as a suite of brand new Precor equipment for Ballsbridge and Clarendon Street and new equipment for core and functional fitness training throughout the estate. Énergie has also introduced a biometric cardless entry system that improves security and increases staff efficiency, while reducing the clubs’ carbon footprint – a concept that is changing in fitness clubs across the globe. Prior to the acquisition, énergie also operates clubs located in Belfast, Galway, Limerick, two in Waterford, Wexford, Lisburn, Letterkenny and Derry. The nine additional clubs make énergie the leading Irish fitness group operating 18 clubs under the énergie brands.